Nanda Khiara uses paint to bring to the fore her passion for life – with an abstract expressionist style. Her paintings are warm and vivid, profound and complex, lyrical and romantic and even dark and mystifying with a deep sense of herself. British by nationality and Indian by origin, Nanda is a true global citizen with her footprint all over the world – Kuwait, London, Hong Kong, Dubai and now Mumbai. Just when you label her genre and style, she surprises you with yet another form. To accentuate her storytelling, she creates unique medium to express her work. Her love for grandeur reflects in the choice of the big canvases she so frequently uses. Akin to her generous and vibrant colours, she conjures bold compositions with subtle style and meaning. Bold, uninhibited, expressive, Nanda Khiara has maintained a unifying thread throughout her diverse body of work – an aura of mysticism and always evolving concepts and realms. 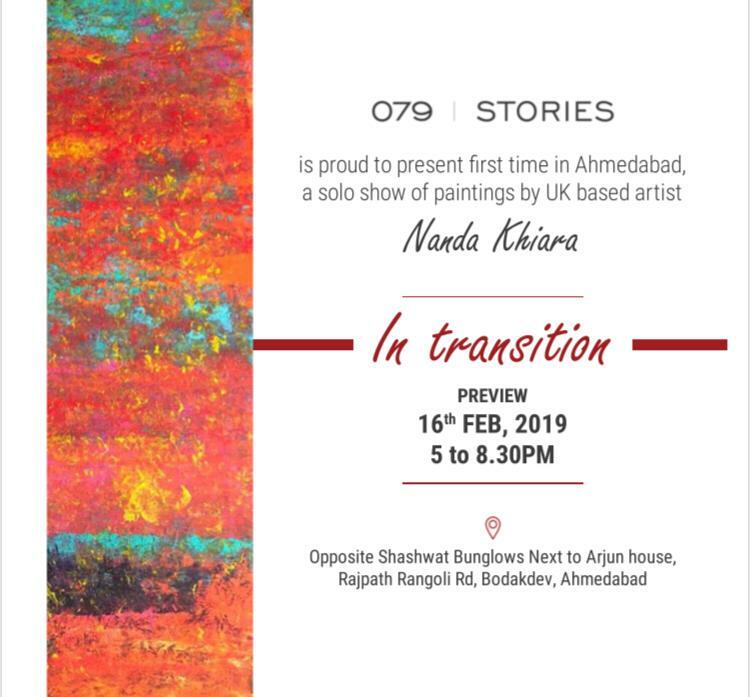 Nanda’s series of work reflects the theme of “change” and it depict her influences from living in Asia, Middle East and Europe.